In a brilliant career spanning more than 60 years, Clara Schumann was dubbed Europe’s ‘Queen of the Piano’, and was considered the peer of great virtuosi such as Franz Liszt, Sigismond Thalberg, and Anton Rubinstein. She was known for her beautiful tone, masterful technique and poetic spirit. In common with these other pianistic giants, she composed music to perform at her own concerts, but she was also a champion of other composers, introducing her audiences to works by Bach, Scarlatti, Beethoven, Chopin, Mendelssohn and, of course, her husband Robert. We will be performing her Piano Trio in G minor Op.17 at our concert in Nailsworth on 15th April. Click here for concert details. Clara Josephine Wieck was born in 1819 in Leipzig. Her mother Marianne came from a musical family and was a gifted pianist and singer. Her father Friedrich was a highly regarded piano teacher, and had a successful business selling and repairing pianos. Her parents separated when Clara was four, and she and her two brothers remained with their father. For the first four years of her life, Clara was apparently deaf, and certainly mute. Following her parents’ separation, and already showing some musical talent, she became Friedrich Wieck’s ‘project’, as he set about transforming her into a musical prodigy. Her general education was scant, but Friedrich made sure that Clara had a superb musical education: he taught her the piano, and she was sent to the best teachers in Leipzig, Dresden and Berlin to learn the violin, music theory, orchestration and composition. Friedrich taught her all about the music business, and she was taken to every major concert and opera in Leipzig. She first played at the Leipzig Gewandhaus at the age of nine, and over the next ten years dazzled audiences on tours in Germany, Austria and France, and was admired by many of the leading musicians and composers of the day. She was one of the first pianists to play from memory – noted by reviewers when she was just thirteen. The seventeen-year-old Robert Schumann was introduced to Clara when she was eight. Three years later, Robert moved into the Wieck household as a piano student of Friedrich’s. The following year, aged 12, Clara gave the first performance of Robert Schumann’s Papillons. Robert also wrote for several music publications, and had been asked by Friedrich to help with publicity for Clara’s concerts. By 1836, Robert and Clara had fallen in love. Robert proposed marriage to Clara when she was 18, but it took another three years and an acrimonious court battle to get round Friedrich’s strong objections to the marriage. The pair were finally married in 1840, a day before Clara’s 21st birthday. Clara’s early compositions were designed to show off her pianistic talents (including her large reach, which could easily play tenths). She began writing her dramatic and innovative Piano Concerto Op.7 at age thirteen, and premiered it three years later. Some reviewers did not know what to make of such a powerful concerto written by a teenage girl, with its combination of improvisational elements and large-scale structure, and its unconventional key changes between movements. Increasingly, her compositions were written with and for her husband (and vice-versa), although Robert was always clear that it was his composing career that took priority. Clara is known to have enjoyed composing, writing that there is ‘nothing that surpasses the joy of creative activity’, but she also wrote of her difficulties in finding inspiration, and does not appear to have had the self-confidence that the quality of her works might suggest. In any case, she was the household’s main breadwinner and had limited time for composition – as well as supporting Robert and his career (she premiered almost all of his piano works), and her own busy concert schedule, she also taught piano, and managed to have eight children in fourteen years. Nevertheless, she left songs, many piano pieces, a piano concerto, several chamber works including the piano trio (perhaps her best-known work), and some choral pieces. Some of her works are still unpublished and in the hands of private collectors. The following year, her son Felix died and Clara took over responsibility for raising his children. She went on performing until 1891, when her son Ferdinand also died. Clara became deaf late in life and often needed a wheelchair. She died of a stroke in Frankfurt in 1896, aged 77, and was buried in Bonn alongside Robert. 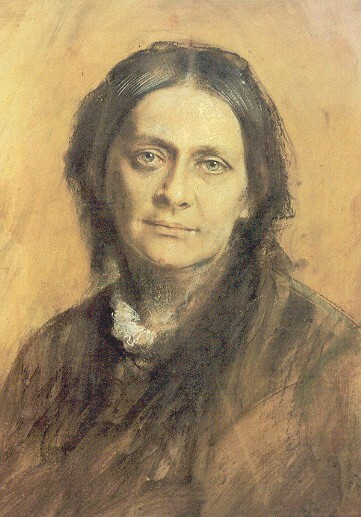 Clara Schumann, whilst spending much of her early life under the strict control of her father or the influence of her husband, and having perhaps more than her fair share of personal tragedy, possessed an extraordinary energy and determination that helped her become one of the most important and influential musical figures of the nineteenth century. Although she focused on her performing career, the quality of her works hint at what she might have achieved if she had devoted more time to composition. It is good that her music is slowly becoming better known and more frequently performed and recorded.